Stan Lee changed my life. I was seven years old when I watched my first Marvel movie, the first “Iron Man.” Since that defining night, I have watched that same movie close to 10 times, as well as every Marvel movie to follow, and I’m left smiling each time. Between rich character development and watching childhood comics come to life, I have fallen in love with Marvel and the man that started it all. Along with fellow writer and illustrators, “Stan began building a universe of interlocking continuity, one where fans felt as if they could turn a street corner and run into a superhero,” Marvel said in a statement on Lee’s passing. This ability to foster such personal connections to superheroes on the big screen or printed on paper is precisely why the impact of Marvel movies and comics has reached millions. Born Stanley Martin Lieber, Lee grew up in Harlem and The Bronx. He developed a love for the fantastic early on, voraciously consuming adventure novels, the swashbuckling films of Errol Flynn, and works by the original master of pulp, William Shakespeare — all of which would later inform his heroes. After graduating from high school at age 16, Lieber was hired as an editorial assistant for Timely Comics, and in 1942 he was promoted to editor. By that time he had begun writing comic-book scripts for Timely as Stan Lee, a pseudonym that eventually became his legal name. In the 1940s and ’50s—during which time the group, later named Atlas, struggled financially—Lee created several comic-book series, including The Witness, The Destroyer, Jack Frost, Whizzer, and Black Marvel. In 1942, with his comics career unfolding before him, Lee answered the call to become a real-life hero and enlisted in the U.S. Army just weeks after the attacks on Pearl Harbor. Lee spent time at the Army Training Division in Astoria, Queens, and briefly worked as a lineman in the Signal Corps, before Uncle Sam recognized his prowess as a scribe and put him to work as a technical writer. Lee and Kirby added another winner to the group when they created The X-Men in 1963. Marvel continued to prosper, and in 1972, Lee became the publisher and editorial director of the group. Throughout the rise of modern Marvel movies and comics, Stan Lee and his arsenal of characters have influenced an audience rivaling that of Star Wars. Marvel has shaped and reshaped the way people have come to understand what it means to be a hero, and more importantly proved that anyone can be a hero. Stanley Cliche, who graduated from ARHS with the class of 2018, was greatly impacted by Marvel movies from a young age. “I think from Marvel I learned that there is more than one type of hero, whether you are poor, rich, white, black, Latino, biracial; or even if you see the world as black-and-white or shades of grey, anyone can become a hero,” Cliche said. Andrew Zhu, a senior at ARHS, often sees the morals and stories of Marvel as a guiding light in difficult situations. 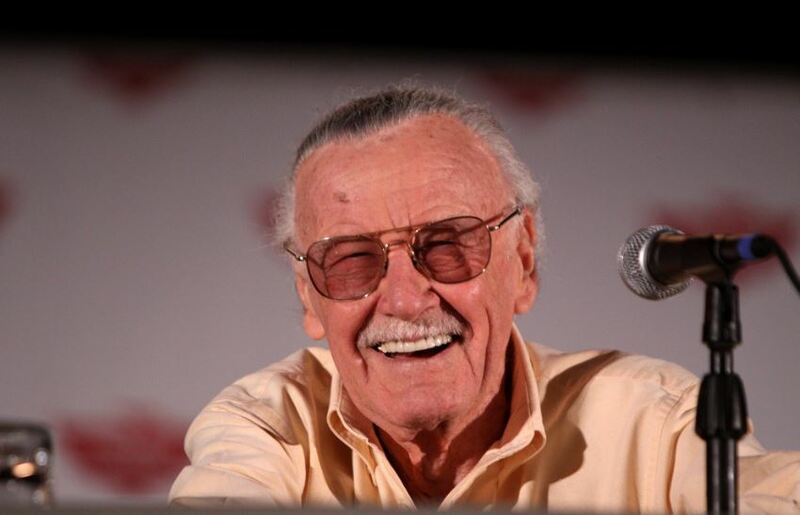 Stan Lee created characters that worked through their imperfections to become a hero in their own way, providing a guideline for their audience to live up to a higher standard. Not only has Marvel touched the hearts and minds of individual fans, but Marvel has also reimagined the way the superhero movie industry works, creating vast universes with overlapping storylines. Furthermore, the diversity that Marvel has incorporated into its movies will continue to force the movie industry to follow in the wake of the Marvel revolution. “I think Marvel has laid the groundwork for more diverse and deep characters, such as Miles Morales Spiderman and Kamala Khan, Ms. Marvel. I also think that the introduction of cinematic universes like the Avengers will push other movie industries,” Cliche said. In the wake of Stan Lee’s passing, it is important to remember everything he has done to reshape the idea of the modern hero. Lee created characters that were able to reach into the hearts of their admirers and connect on a new level, characters that shared similar faults and imperfections with the kids in the comic shop. Stan Lee raised a new generation of comic book lovers that will go on to change the world for the better with the lessons they learned from his characters.